In just a few short weeks, football will be back. I follow sports all year long, but I have a special love for football. I grew up playing the sport, and I follow my teams religiously. I really enjoy watching my teams on TV, and since I’m a Denver Bronco fan living in Boise, that’s my only option when it comes to the NFL. I’m also a Nebraska Cornhusker fan, and ever since I moved to Boise, the Boise State Broncos have grown on me. Watching the games is great, but I also love all of the fantastic barbecue people serve before and during the games, and the tailgating games people play before the on-field action gets going. My favorite tailgate party recipe is hands down, smoked chicken wings. I can’t tell you how many people I’ve made these wings for, and almost every time I make them someone tells me they are the best wings they’ve ever had. Maybe my friends are just too nice, or maybe these crispy chicken wings are just that damn good. Some people might call it a weakness, others a strength… I’m SUPER competitive. Corn Hole is one of those games you can play for hours with a drink or food in one hand and the sandbag in another. Corn Hole is easy to set up and super easy to play. Just make sure you’re not playing against me… because I won’t let you quit until I win 🙂 Get a corn hole set for your favorite team here! 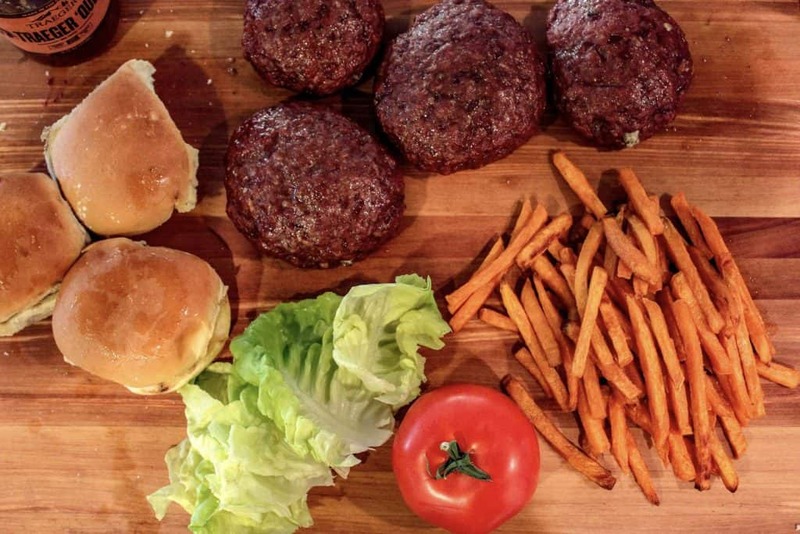 Smoked Burgers are another tailgating party recipe that you’ve gotta try if you haven’t already. I cook mine using the reverse sear method and they come out perfect every time. Burgers are definitely football food, but just do me a favor and make sure you bring the sauce to the condiment party too. That burger should be MESSY. I’m talkin about ketchup, mustard, pickles, and mayo just to get started. If you really want to get crazy maybe throw in some Frank’s Red Hot or Sriracha. 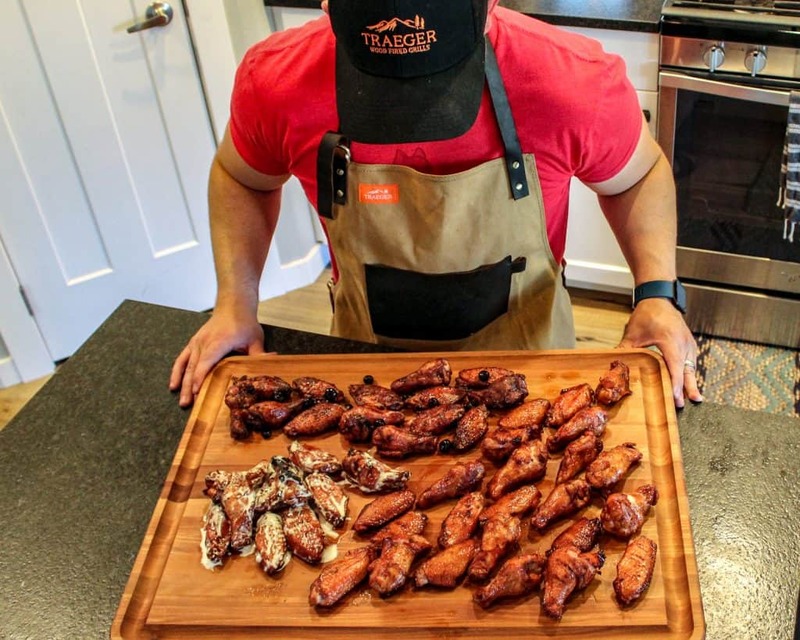 You can eat chicken wings with one hand, but the perfectly prepared smoked burger takes two hands to eat properly. The perfect tailgate setup has a matching set of tables, chairs, and canopy. All decked out in your favorite team’s logo. 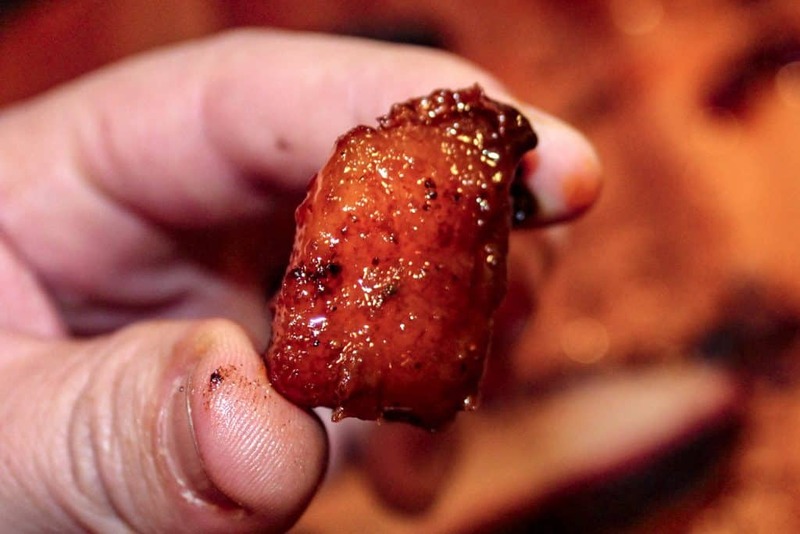 Pork Belly Burnt ends aren’t your typical tailgate food staple, but just hear me out. Pork belly burnt ends are super tasty, can be eaten on their own, or on a bun. They’re great served on a toothpick as a pregame appetizer or smashed between two buns with all the fixuns. Tired of the ordinary? Pork Belly Burnt Ends are your answer! What Do You Bring to Your Tailgate Party? This is just a short list of a few of my favorite tailgate party recipes. What do you like to bring to your tailgate parties? Leave me a note in the comments. Looking for more great recipes for football season? Read my article on Super Bowl Appetizers here.